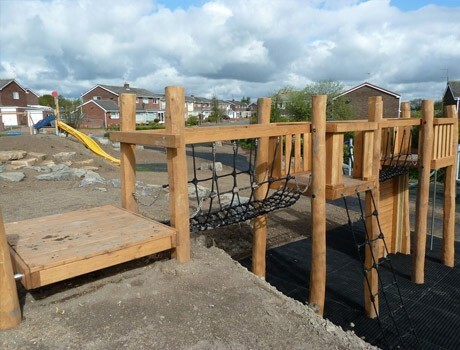 Pennine Playgrounds were asked to work in partnership with the school on developing their outdoor provision for their foundation stage. 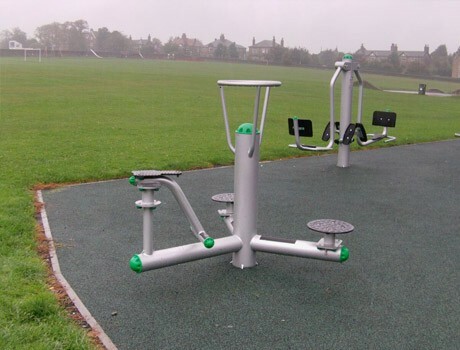 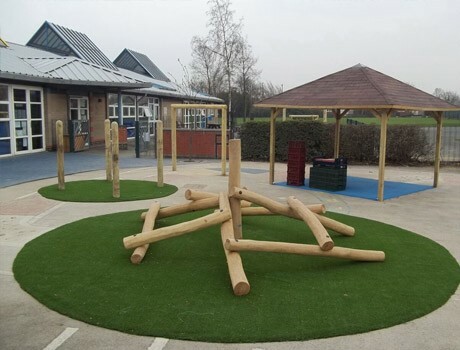 Working with their vision for the area, our design team were able to produce a high quality design that incorporated all of the school’s requirements, whilst working to a specific budget. 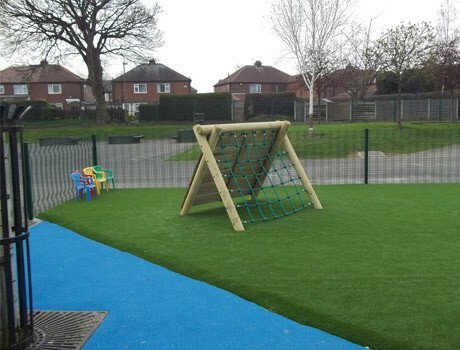 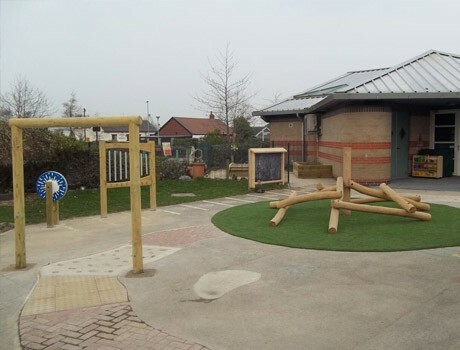 The Early Years and Infants playground equipment included mark making panels in both chalk board and white board styles, a low level timber clamber stack and a set of 4 timber den making poles set in artificial grass safety surfacing. 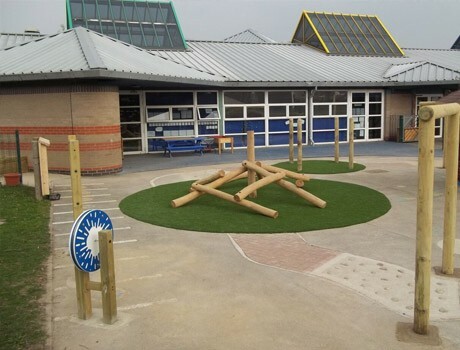 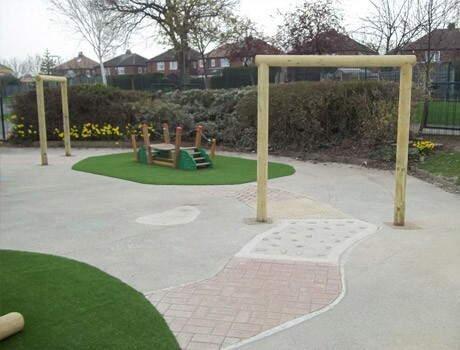 The sensory pathway was constructed from a variety of materials to provide different textures, including smooth block paving, bobbly stones set slightly raised and wet pour rubber. 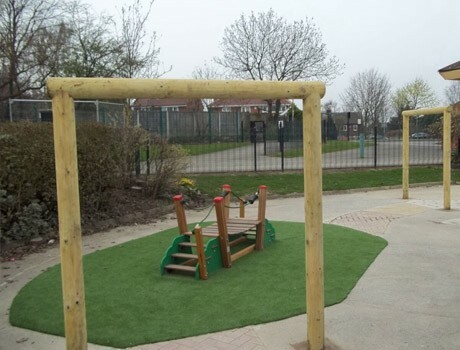 This path meanders around the playground leading the early years children on a different play journey every playtime. 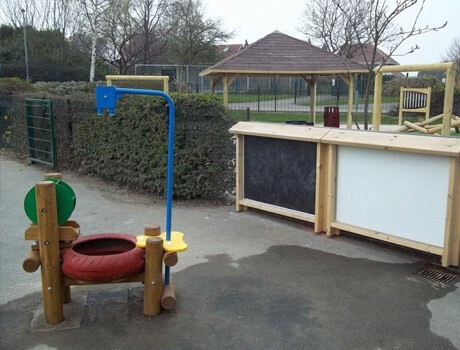 The play area design also included a sand pit with cover as well as a raised bespoke digging and planter bed.